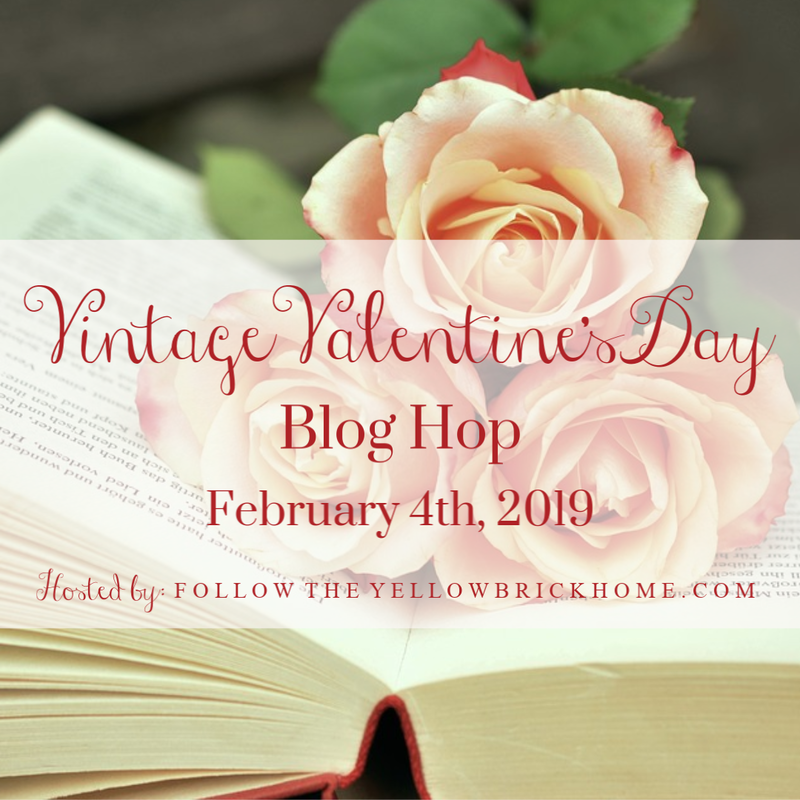 Welcome to the Vintage Valentine's Day Blog Hop hosted by Amber of Follow The Yellow Brick Home - she has gathered together a diverse group of bloggers from all over the country. 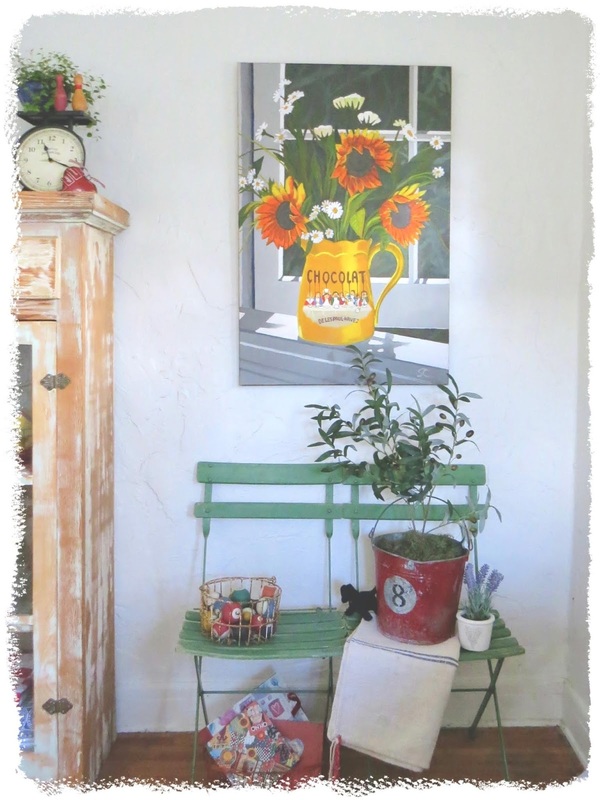 If you are visiting in order, then you were just in Utah visiting my dear friend Jann of Have a Daily Cup of Mrs. Olson. One of my goals this year is to decorate less and play more so I am keeping my Valentine decor to simple little touches. 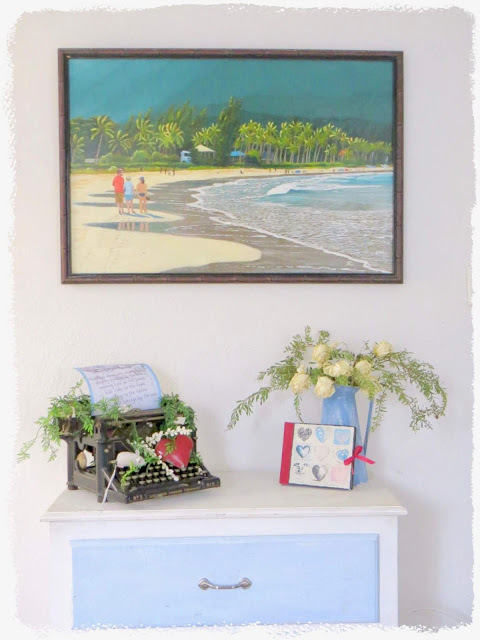 The entry is a perfect spot to decorate for any holiday. but a heart shaped wooden bowl sits atop the table. The bowl is filled with shells found on beach walks (the star fish are all purchased), but in the center of the bowl is one of the numerous heart shaped rocks I have found on the beach. and a little pot stamped with a heart. finishes off the Valentine decor in this corner of living room. with a simple Valentine postcard tucked into the scale. Our guest room always gets the most holiday decor and yes, I just had Steve swap this chair from the living room with the rocker that I showed last week. There is now more space in the living room with the rocker and a nice little reading corner in the guest room. and all I have to do for spring is remove the book page heart Mr. Goose is wearing. And with those simple little touches, our house is ready for Valentine's Day. 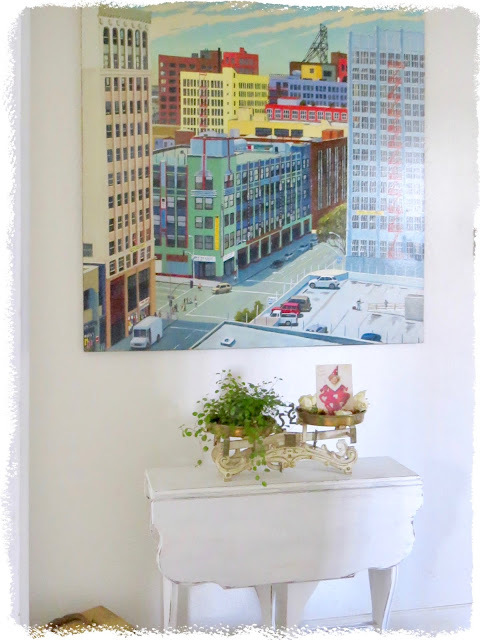 Thanks for dropping by and now I send you off to Minnesota to my friend Linda of Itsy Bits and Pieces. 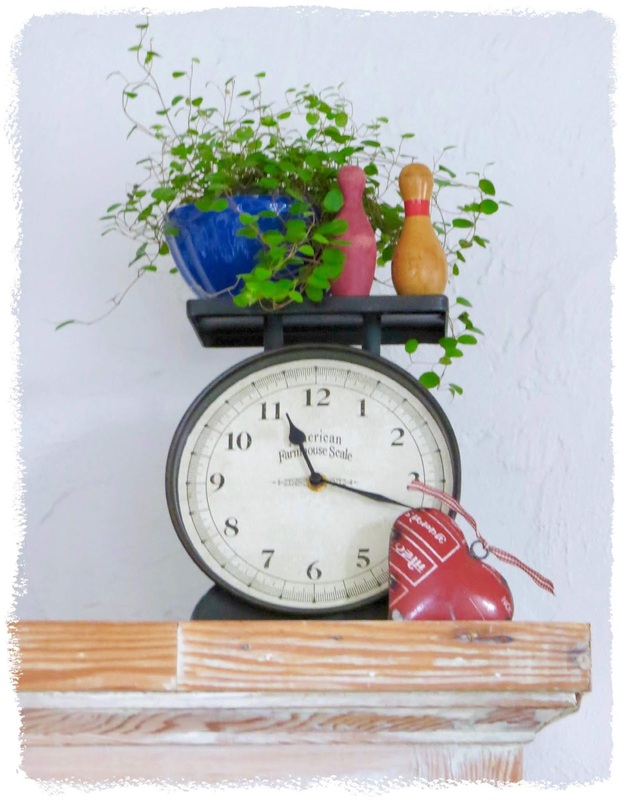 Be sure to visit all the blogs on this fun hop. This is perfect. I love it when holiday decor is subtle and gives a surprise nod the occasion. Your typewriter is darling. I must say I love your delightful approach with simple hearts to accent your vintage decor. Just the right amount. So much eye candy in your home and on the hops. Thanks for hosting. I love all your simple Valentine touches. 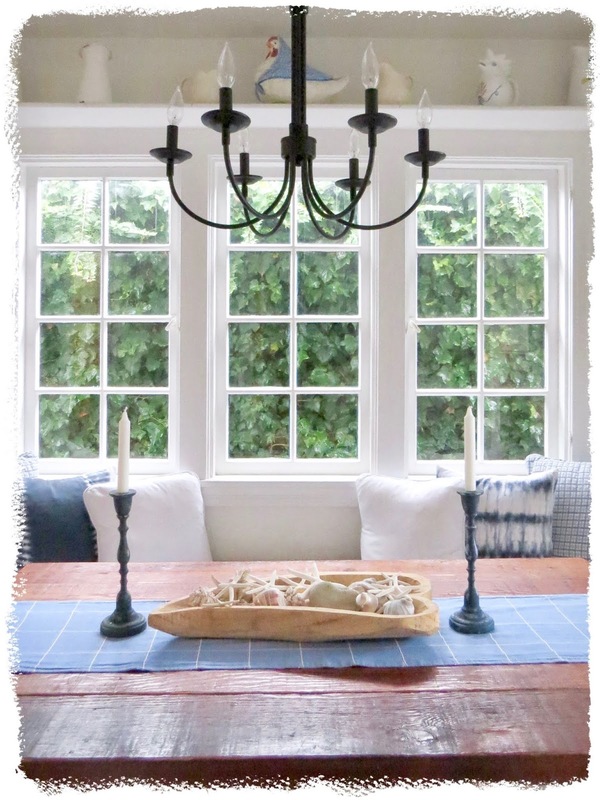 Your home is always so bright and welcoming with your coastal details. So many pretty things! It's nice to join you in the blog hop! Have a great week! Hi Carol hope you're healing. Great touches of love. I love love. Your heart bowl is a great find along with the heart rock. Nature is amazing. Your touches of red are perfect. 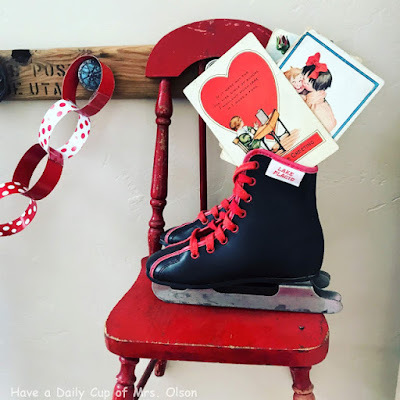 Carol your home is so pretty and I love all your vintage Valentine's decor. It all looks awesome. Love doing the hop with you. Happy Valentine's day my sweet friend. I adored every single picture. 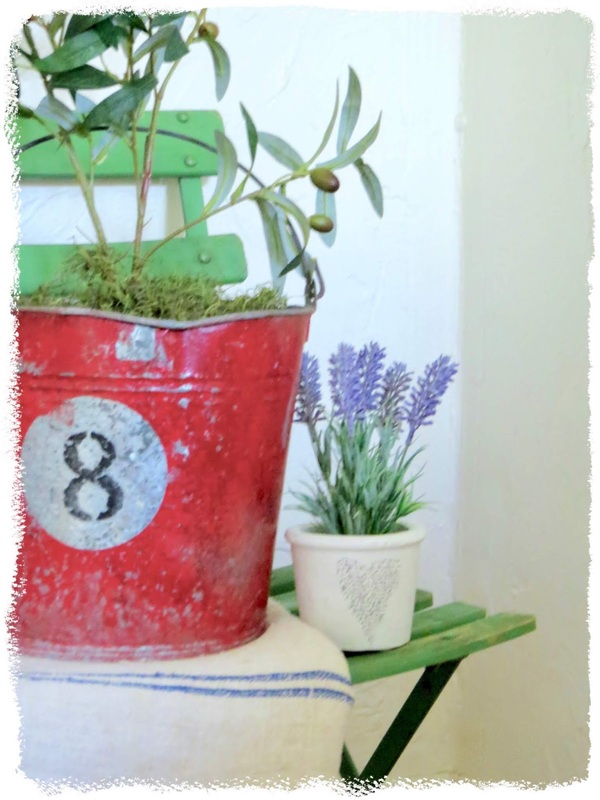 Each little vignette was so festive. And I've never seen a heart shaped wooden bowl like that. So cool! Always love hopping with you. Happy Valentine's Day! Each touch is just right! My favorite is the heart-shaped rock found on the beach... perfect for your beach home. Love all your touches of Valentine's day decor...as you know, I love hearts, too! I think they're perfect for any decor, not just V-day. All of your Valentine touches are so sweet and lovely, Carol! 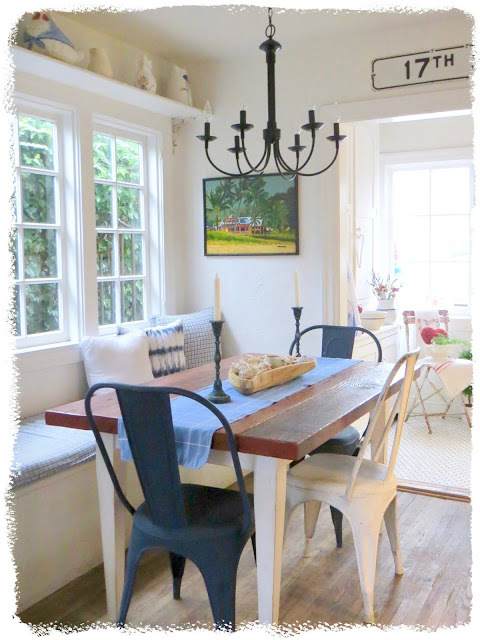 Carol, I love your subtle Valentine touches in your light, bright home. The grain sacks with the red stripe are priceless. The vintage typewriter is such a treasure. 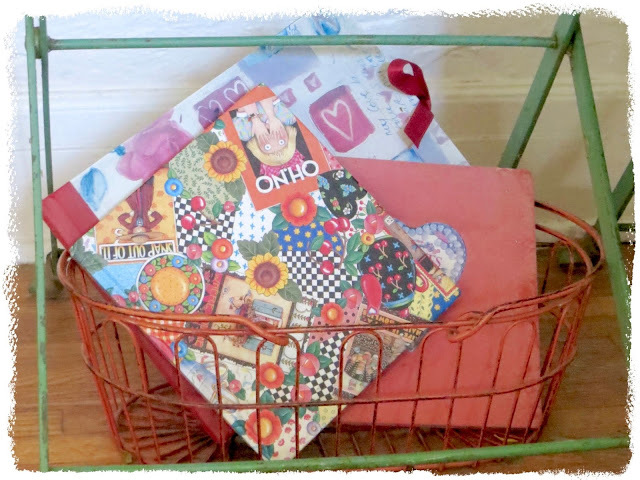 The books in the basket under the chair are so sweet. Great to be on another hop with you. 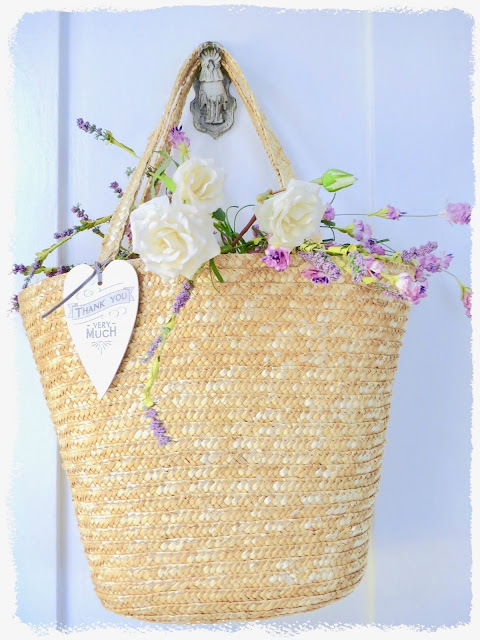 Simplicity at it's best in your sweet cottage! I love your touches of red and new green chairs. The heart shaped wooden bowl is so unique. You have a gift for displaying dear friend! You have such a lovely home, Carol! 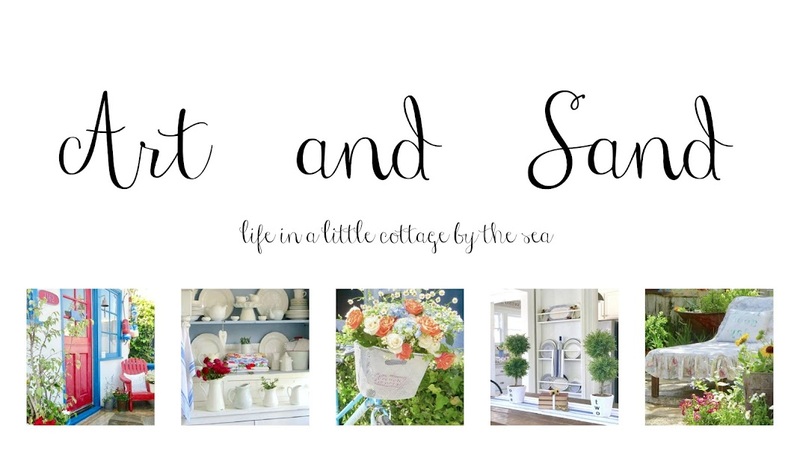 I always enjoy seeing your beachy cottage decor. 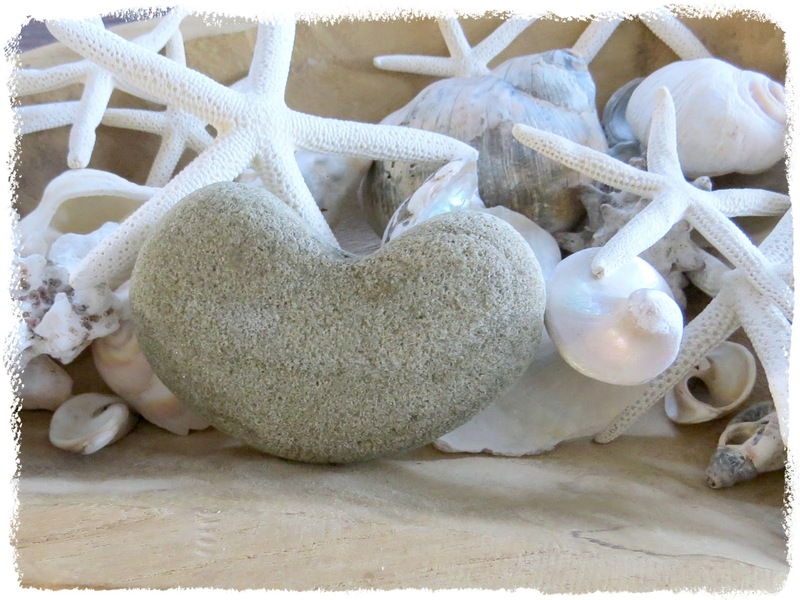 Your Valentine decor is so pretty...my favorite is the heart-shaped rock with seashells...so perfect. It was fun to join the hop with you! Carol, It is always such a treat to tour your home. Your vintage decor paired with your whimsical, colorful style is refreshing in this day of all white! I always enjoy touring your home, Carol. 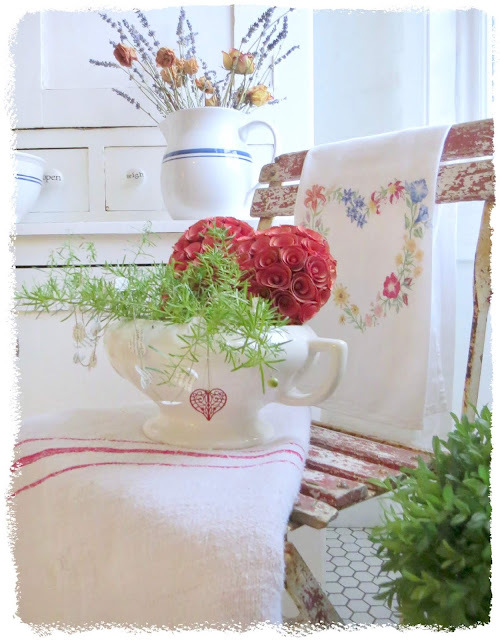 Your home looks festive for Valentine's Day with the pretty touches that you've added to each space. I love the wooden heart shaped bowl on your table and it's wonderful that you've collected heart shaped shells and rocks on your beach walks. 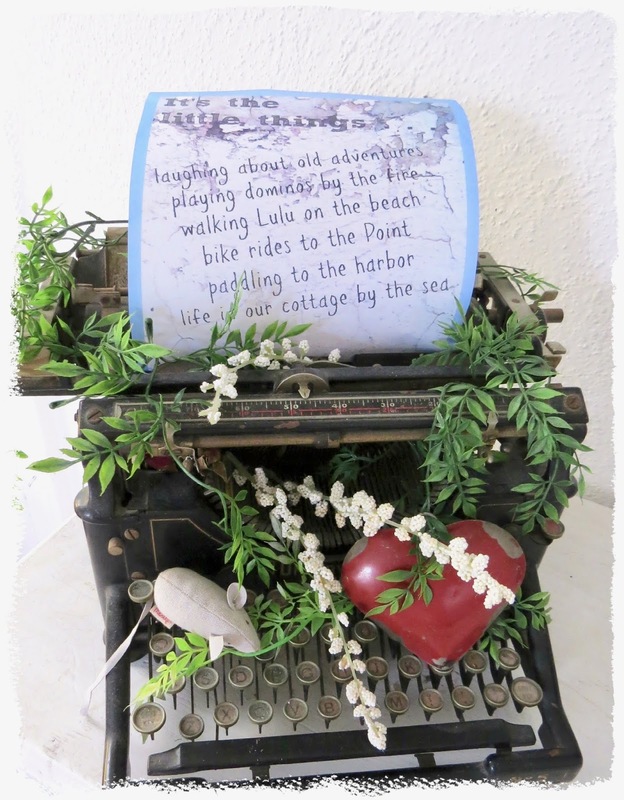 I'd love to have a typewriter like yours to use for decorating. I like how you've decorated yours for Valentine's Day. 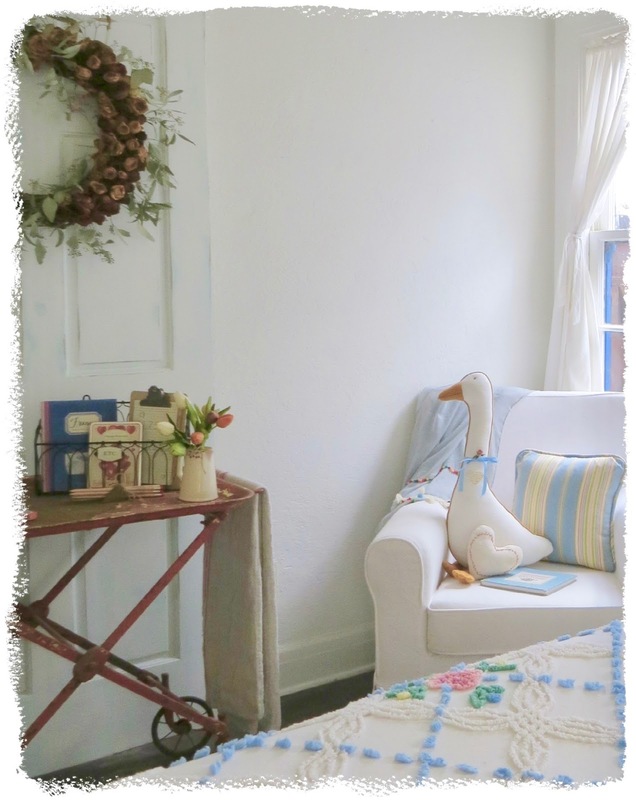 I enjoyed seeing your vintage Valentine touches around your sweet cottage, carol. I loved the cute little heart flowerpot! Always love your home, Carol! I was just decorating for Valentine's Day, and you reminded me to pull out my Valentine worthy books and display them. Thank you! 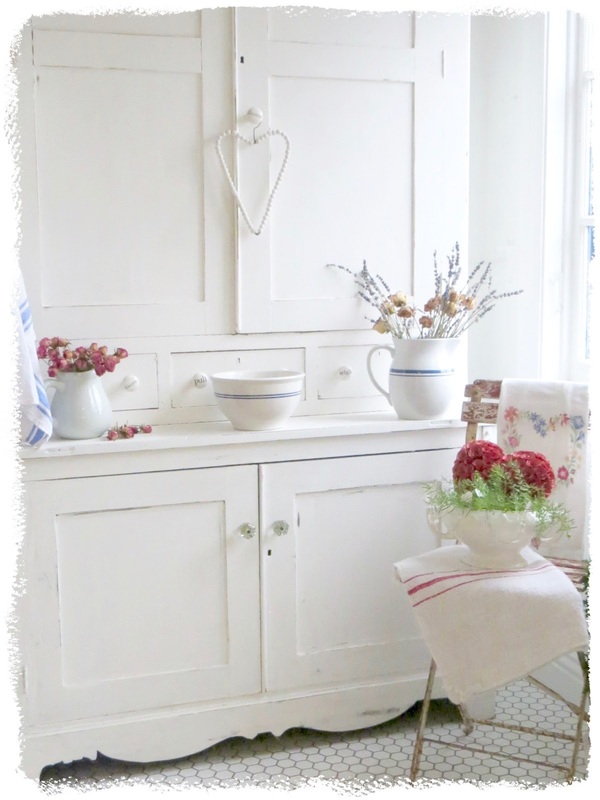 Gorgeous displays and touches of Valentines. I adore that heart rock. Gosh I love your cottage, Carol! 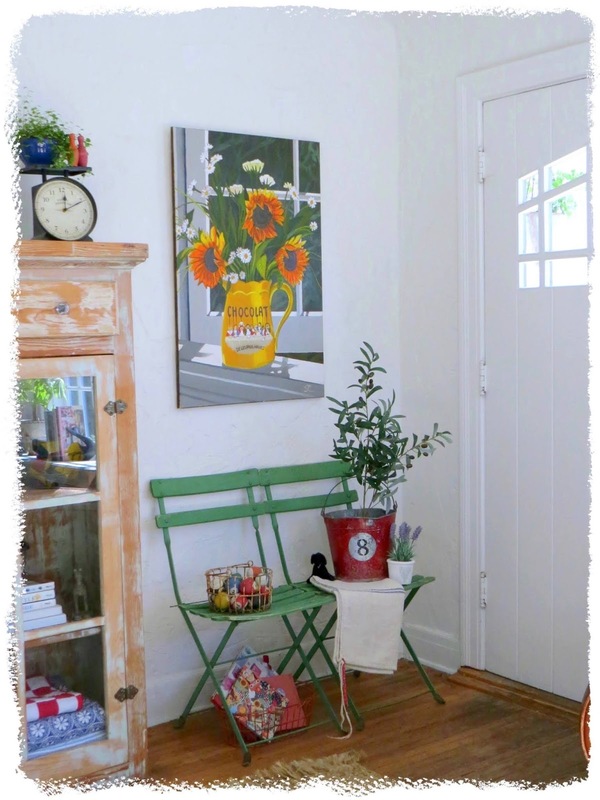 Did you make that heart towel over the chair in the entry, is it vintage or what? Love it! 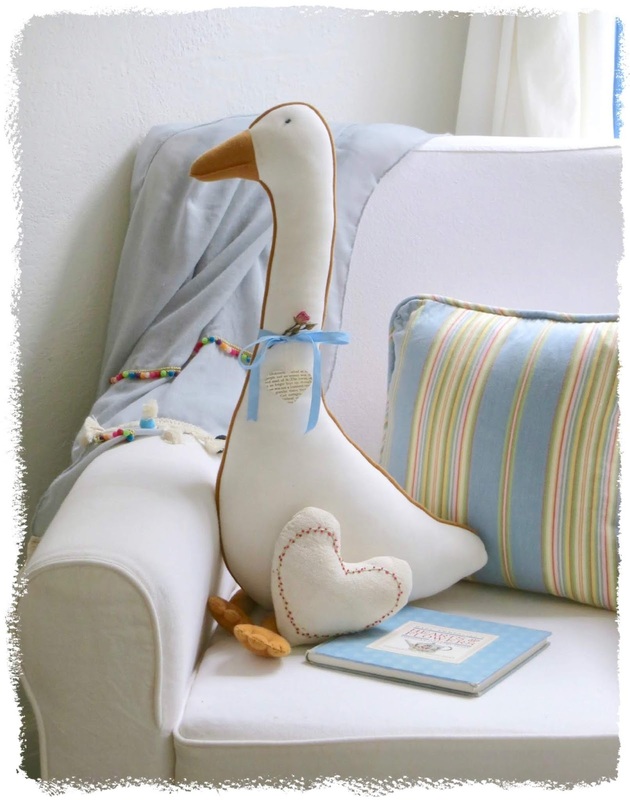 I love how you have subtly incorporated valentine touches around your home with sweet hearts of all kinds. 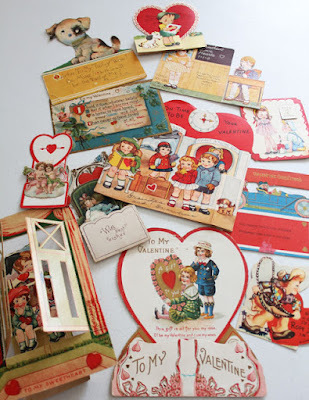 I just love your vintage Valentine collection too! Everything is so pretty! Good morning dearest Carol! I somehow missed this post as I rushed off yesterday to make it to work safely in this slippery ice. Now, we have a few feet of snow to trudge through! How gorgeous you make red look. I'm not a lover of red, but your vintagy, worn red highlights that suggest a pink shade really make me rethink the color. LOVELY! Carol your simple Valentine touches are beautiful! I especially love the heart shaped bowl with shells, starfish and heart shaped rocks! Your home and style is lovely and I always enjoy your posts! Have a wonderful Valentine's Day! Carol, I love all your Valentine touches here and there, but I was really drooling over your view out the dining room; that wall of ivy is beautiful! Think I'd like to look at that as much as the ocean! It is so fun to see all the different climates we're all blogging from! 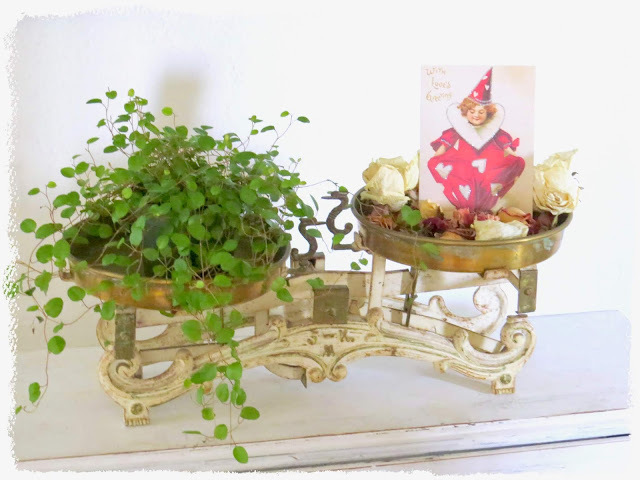 Loved all the little touches that turned your home into its Valentine self!! Oh Carol, you have the prettiest house! It always makes me smile. All of your Valentine touches are perfect. It has been so much fun blog hopping with you. Happy Valentine's Day!!! Carol, I'm late making my way around all these wonderful posts. 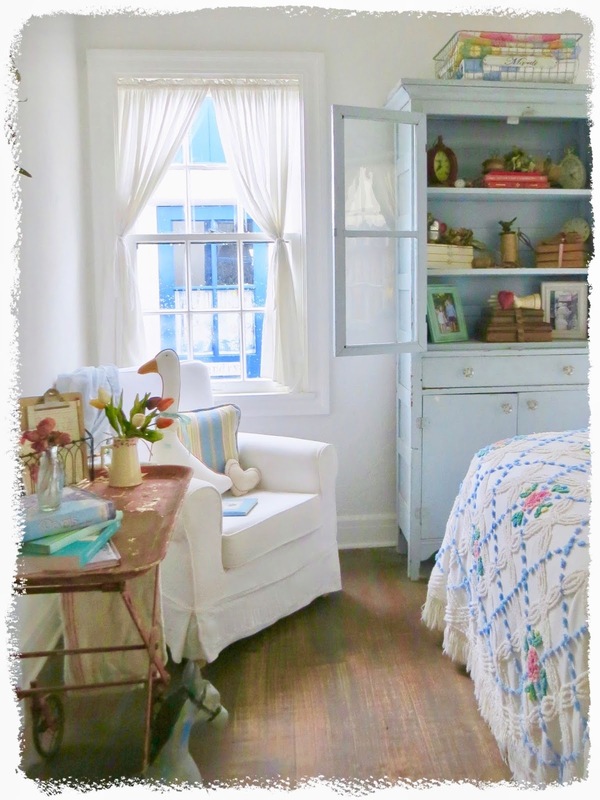 Your vintage touches are heartwarming. I especially like those little metal hearts. I forget the name of the shop where you find them. If you think about it. Please sent me the info. I'd like to phone them.